One of the most famous of these constellations is Cassiopeia, which is easily recognized by its W-shape in the sky. As one of the 48 constellation included in the Almagest, it is now one of the 88 modern constellations recognized by the IAU. Located in the norther sky opposite of the Big Dipper (Ursa Major), it is bordered by Camelopardalis, Cepheus, Lacerta, Andromeda and Perseus. In mythology, Cassiopeia the wife of King Cepheus and the queen of the mythological Phoenician realm of Ethiopia. Her name in Greek means “she whose words excel”, and she was renowned for her beauty but also her arrogance. This led to her downfall, as she boasted that both she and her daughter Andromeda were more beautiful than all the Nereids – the nymph-daughters of the sea god Nereus. This led the Nerieds to unleash the wrath of Poseidon upon the kingdom of Ethiopia.Accounts differ as to whether Poseidon decided to flood the whole country or direct the sea monster Cetus to destroy it. In either case, trying to save their kingdom, Cepheus and Cassiopeia consulted a wise oracle, who told them that the only way to appease the sea gods was to sacrifice their daughter. Accordingly, Andromeda was chained to a rock at the sea’s edge and left there to helplessly await her fate at the hands of Cetus. But the hero Perseus arrived in time, saved Andromeda, and ultimately became her husband. Since Poseidon thought that Cassiopeia should not escape punishment, he placed her in the heavens in such a position that, as she circles the celestial pole, she is upside-down for half the time. Cassiopeia was one of the traditional constellations included by Ptolemy in his 2nd century CE tract, the Almagest. It also figures prominently in the astronomical and astrological traditions of the Polynesian, Indian, Chinese and Arab cultures. In Chinese astronomy, the stars forming the constellation Cassiopeia are found among the areas of the Purple Forbidden enclosure, the Black Tortoise of the North, and the White Tiger of the West. Chinese astronomers also identified various figures in its major stars. While Kappa, Eta, and Mu Cassopeiae formed a constellation called the Bridge of the Kings, when combined with Alpha and Beta Cassiopeiae – they formed the great chariot Wang-Liang. In Indian astronomy, Cassiopeia was associated with the mythological figure Sharmishtha – the daughter of the great Devil (Daitya) King Vrishparva and a friend to Devavani (Andromeda). Arab astronomers also associated Cassiopeia’s stars with various figures from their mythology. For instance, the stars of Alpha, Beta, Gamma, Delta, Epsilon and Eta Cassiopeiae were often depicted as the “Tinted Hand” in Arab atlases – a woman’s hand dyed red with henna, or the bloodied hand of Muhammad’s daughter Fatima. The arm was made up of stars from the neighboring Perseus constellation. Another Arab constellation that incorporated the stars of Cassiopeia was the Camel. Its head was composed of Lambda, Kappa, Iota, and Phi Andromedae; its hump was Beta Cassiopeiae; its body was the rest of Cassiopeia, and the legs were composed of stars in Perseus and Andromeda. In November of 1572, astronomers were stunned by the appearance of a new star in the constellation – which was later named Tycho’s Supernova (SN 1572), after astronomer Tycho Brahe who recorded its discovery. At the time of its discovery, SN1572 was a Type Ia supernova that actually rivaled Venus in brightness. The supernova remained visible to the naked eye into 1574, gradually fading until it disappeared from view. The “new star” helped to shatter stale, ancient models of the heavens by demonstrating that the heavens were not “unchanging”. It helped speed the the revolution that was already underway in astronomy and also led to the production of better astrometric star catalogues (and thus the need for more precise astronomical observing instruments). 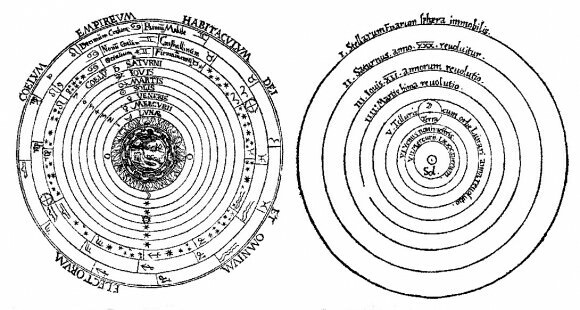 To be fair, Tycho was not even close to being the first to observe the 1572 supernova, as his contemporaries Wolfgang Schuler, Thomas Digges, John Dee and Francesco Maurolico produced their own accounts of its appearance. But he was apparently the most accurate observer of the object and did extensive work in both observing the new star and in analyzing the observations of many other astronomers. This zig-zag shaped circumpolar asterism consists of 5 primary stars (2 of which are the most luminous in the Milky Way Galaxy) and 53 Bayer/Flamsteed designated stars. It’s brightest star – Beta Cassiopeiae, otherwise known by its traditional name Caph – is a yellow-white F-type giant with a mean apparent magnitude of +2.28. It is classified as a Delta Scuti type variable star and its brightness varies from magnitude +2.25 to +2.31 with a period of 2.5 hours. Now move along the line to the next bright star – Alpha. Its name is Schedar and its an orange giant (spectral type K0 IIIa), a type of star cooler but much brighter than our Sun. In visible light only, it is well over 500 times brighter than the Sun. According to the Hipparcos astrometrical satellite, distance to the star is about 230 light years (or 70 parsecs). Continue up the line for Eta, marked by the N shape and take a look in a telescope. Eta Cassiopeiae’s name is Achird and its a multiple is a star system 19.4 light years away from Earth. The primary star in the Eta Cassiopeiae system is a yellow dwarf (main sequence star) of spectral type G0V, putting it in the same spectral class as our Sun, which is of spectral type G2V. It therefore resembles what our Sun might look like if we were to observe it from Eta Cassiopeiae. The star is of apparent magnitude 3.45. The star has a cooler and dimmer (magnitude 7.51) orange dwarf companion of spectral type K7V. Based on an estimated semi major axis of 12″ and a parallax of 0.168 mas, the two stars are separated by an average distance of 71 AU. However, the large orbital eccentricity of 0.497 means that their periapsis, or closest approach, is as small as 36 AU. The next star in line towards the pole is Gamma, marked by the Y shape. Gamma Cassiopeiae doesn’t have a proper name, but American astronaut Gus Grissom nicknamed it “Navi” since it was an easily identifiable navigational reference point during space missions. The apparent magnitude of this star was +2.2 in 1937, +3.4 in 1940, +2.9 in 1949, +2.7 in 1965 and now it is +2.15. This is a rapidly spinning star that bulges outward along the equator. When combined with the high luminosity, the result is mass loss that forms a disk around the star. Gamma Cassiopeiae is a spectroscopic binary with an orbital period of about 204 days and an eccentricity alternately reported as 0.26 and “near zero.” The mass of the companion is believed to be comparable to our Sun (Harmanec et al. 2000, Miroschnichenko et al. 2002). Gamma Cas is also the prototype of a small group of stellar sources of X-ray radiation that is about 10 times higher that emitted from other B or Be stars, which shows very short term and long-term cycles. Now move over to Delta Cassiopeiae, the figure 8. It’s traditional name is Ruchbah, the “knee”. Delta Cassiopeiae is an eclipsing binary with a period of 759 days. Its apparent magnitude varies between +2.68 mag and +2.74 with a period of 759 days. It is of spectral class A3, and is approximately 99 light years from Earth. Last in line on the end is Epsilon, marked with the backward 3. Epsilon Cassiopeiae’s tradition name is Segin. It is approximately 441 light years from Earth. It has an apparent magnitude of +3.38 and is a single, blue-white B-type giant with a luminosity 720 times that of the Sun. Cassiopeia constellation is located in the first quadrant of the northern hemisphere (NQ1) and is visible at latitudes between +90° and -20°. It is the 25th largest constellation in the night sky and is best seen during the month of November. 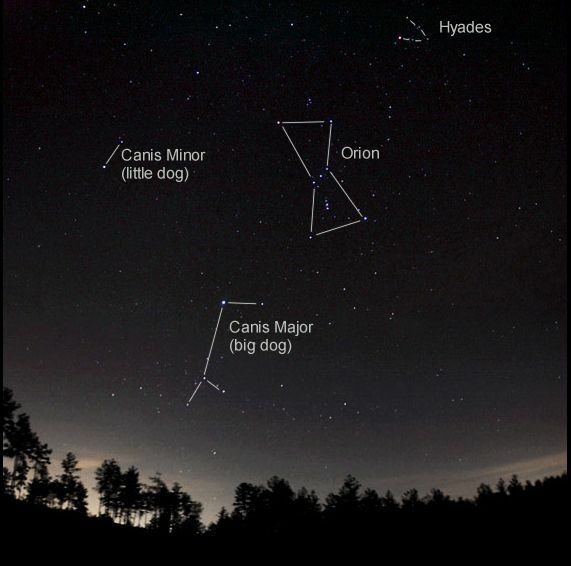 Due to its distinctive shape and proximity to the Big Dipper, it is very easy to find. 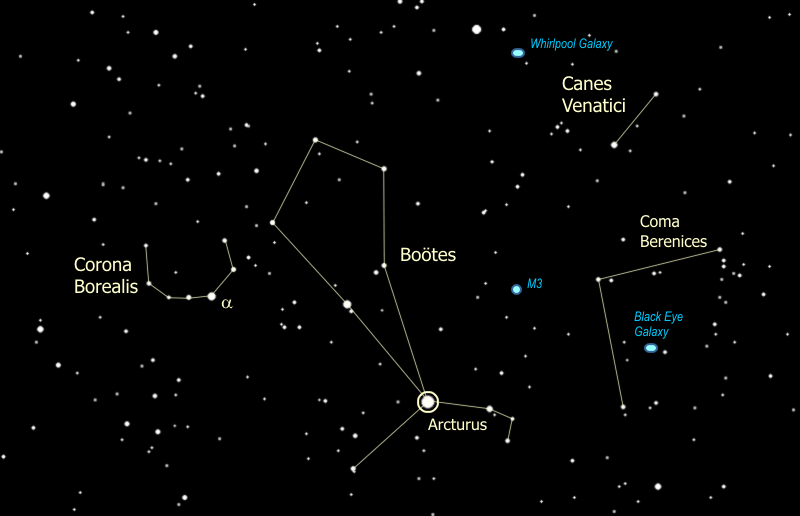 And the constellation has plenty of stars and Deep Sky Objects that can be spotted using a telescope or binoculars. First, let’s begin by observing Messier 52. This one’s easiest found first in binoculars by starting at Beta, hopping to Alpha as one step and continuing the same distance and trajectory as the next step. M52 (NGC 7654) is a fine open cluster located in a rich Milky Way field. The brightest main sequence star of this cluster is of mag 11.0 and spectral type B7. Two yellow giants are brighter: The brightest is of spectral type F9 and mag 7.77, the other of type G8 and mag 8.22. Amateurs can see M52 as a nebulous patch in good binoculars or finder scopes. In 4-inch telescopes, it appears as a fine, rich compressed cluster of faint stars, often described as of fan or “V” shape; the bright yellow star is to the SW edge. John Mallas noted “a needle-shaped inner region inside a half-circle.” M52 is one of the original discoveries of Charles Messier, who cataloged it on September 7, 1774 when the comet of that year came close to it. For larger telescopes, situated about 35′ southwest of M52 is the Bubble Nebula NGC 7635, a diffuse nebula which appears as a large, faint and diffuse oval, about 3.5×3′ around the 7th-mag star HD 220057 of spectral type B2 IV. It is difficult to see because of its low surface brightness. Just immediately south of M52 is the little conspicuous open cluster Czernik 43 (Cz 43). Now let’s find Messier 103 by returning to Delta Cassiopeiae. In binoculars, M103 is easy to find and identify, and well visible as a nebulous fan-shaped patch. Mallas states that a 10×40 finder resolves the cluster into stars; however, this is so only under very good viewing conditions. The object is not so easy to identify in telescopes because it is quite loose and poor, and may be confused with star groups or clusters in the vicinity. But telescopes show many fainter member stars. M103 is one of the more remote open clusters in Messier’s catalog, at about 8,000 light years. While you are there, enjoy the other small open clusters that are equally outstanding in a telescope, such as NGC 659, NGC 663 and NGC 654. But, for a real star party treat, take the time to go back south and look up galactic star cluster NGC 457. It contains nearly one hundred stars and lies over 9,000 light years away from the Sun. The cluster is sometimes referred by amateur astronomers as the Owl Cluster, or the ET Cluster, due to its resemblance to the movie character. Those looking for a more spectacular treat should check out NGC 7789 – a rich galactic star cluster that was discovered by Caroline Herschel in 1783. Her brother William Herschel included it in his catalog as H VI.30. Chandra image of the Supernova remnant of Tycho’s Nova. Credit: NASA/CXC/Rutgers/J.Warren & J.Hughes et al. This cluster is also known as “The White Rose” Cluster or “Caroline’s Rose” Cluster because when seen visually, the loops of stars and dark lanes look like the swirling pattern of rose petals as seen from above. At 1.6 billion years old, this cluster of stars is beginning to show its age. All the stars in the cluster were likely born at the same time but the brighter and more massive ones have more rapidly exhausted the hydrogen fuel in their cores. Are you interested in faint nebulae? Then try your luck with IC 59. One of two arc-shaped nebulae (the other is IC 63) that are associated with the extremely luminous star Gamma Cassiopeiae. IC 59 lies about 20′ to the north of Gamma Cas and is primarily a reflection nebula. Other faint emission nebulae include the “Heart and Soul” (LBN 667 and IC 1805) which includes wide open star clusters Collider 34 and IC 1848. Of course, no trip through Cassiopeia would be complete without mentioning Tycho’s Star! Given the role this “new star” played in the history of astronomy (and as one of only 8 recorded supernovas that was visible with the naked eye), it is something no amateur astronomer or stargazer should pass up! While there is no actual meteoroid stream associated with the constellation of Cassiopeia, there is a meteor shower which seems to emanate near it. On August 31st the Andromedid meteor shower peaks and its radiant is nearest to Cassiopeia. Occasionally this meteor shower will produce some spectacular activity but usually the fall rate only averages about 20 per hour. There can be some red fireballs with trails. Biela’s Comet is the associated parent with the meteor stream.